Management Corporation Strata Title (MCST), refers to the managing body of a condominium or any compound which has multiple owners and shared public facilities. MCSTs are associated often with private residential properties. An MCST is automatically formed when the strata title plan for the development is lodged with the Chief Surveyor and a strata title application is made to the Registrar of Titles, Singapore Land Authority. But a developer is only allowed to register the strata title plan when construction has reached the roof level, meaning the project is nearly completed. Officially, it will be called “The Management Corporation — Strata Title Plan No.____” with the BCA issuing a tracking number to differentiate it from other managing bodies. Subsidiary proprietors (SP) of the private residential development automatically becomes a member of the MCST. 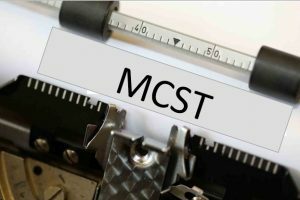 The MCST, being a legal entity, may sue and can be sued. MCST plays an important role in representing the collective interest of all SPs in a strata-titled estate. The Building Maintenance and Strata Management Act (BMSMA) empowers the management corporation (MC) of each development to control and manage the common property. The spirit of the BMSMA is for each MC to exercise self-governance and manage its own domestic affairs. SPs in the strata scheme have to pay contributions to maintain the common property and pay ancillary expenses. This money is paid to the MCST to enable the MC to meet the costs of regular and periodical maintenance of the estate. All levies that SPs have to pay are worked out in proportion to the share value of each lot. Once the MCST is constituted an initial period is assigned to it by which it must hold its annual general meeting (AGM). The maximum duration of the initial period is 12 months. During this period, the developer plays the role of the council. Once the MCST is constituted, the developer is required to open a bank account in the name of the MCST and pay into the account all the money he has collected for the maintenance fund and keep proper books of accounts so that they can be conveniently and properly audited. regulating the rules of the estate. Other recurrent expenses besides amounts covered by the sinking fund. In addition MCs must also require residents to not leave or park their vehicles in the common property without its approval. Additionally, there is a statutory by-law regarding the disposal of rubbish and unwanted items on the common property. Without the permission of the MCs, residents should not dispose of rubbish or unwanted items (such as discarded sofas) on the common property that is likely to interfere with the peaceful enjoyment of others in the estate. It can be very challenging for the MCs to manage a condominium. The MC has to work within a finite, limited budget to maintain a fairly large space that is largely open and accessible 24/7 to all its residents. The MC has to be proactive about a range of issues ranging from cleaning to security to the maintenance of the condominium amenities. It, therefore, plays a vital role in ensuring that the condominium facilities are fully functional and are in good repair. MCs should advise SPs when their contributions or instalments are due. When contributions becomes 30 days overdue, it will bear interest at the rate determined by the MC unless the MC has decided at the general meeting not to charge interest either generally or in a particular case. When your contribution becomes 30 days overdue, the MC may serve a written demand on you. If you fail to pay within 14 days after the written demand has been served, you are liable for an offence amounting to a fine. The MC can recover any unpaid contribution through the Small Claims Tribunal or the courts. The MC can also register a charge on the lot for not paying. MCs may also fine residents who breach its by-laws. But be mindful that MCs are not entrusted with undefined and unlimited powers of imposing monetary payments upon SPs for breaches of by-laws made. The MC, owner or resident may apply to the court for an order to stop someone from disobeying the by-laws and to recover damages. The first thing that one can do when involved in a dispute is to come together and discuss the problem. Then the possibility of finding an amicable solution is higher. However, when the disputing parties are unable to find an acceptable solution, they should seek mediation by an independent and neutral party. The role of the mediator is to guide the disputing parties to achieve their own resolution. If mediation fails, the dispute can be referred to the Strata Titles Boards (STB) for arbitration. The STB is a statutory body that is made up of a panel of members who are lawyers and experienced practitioners in the building industry. A strata titles board is constituted to hear each dispute. The decisions of the STB are final. After such a decision, an appeal can only be made to the High Court on question of law. Resolving disputes between the MC and a sub-MC. For matters that are outside the jurisdiction of the STB, the disputing parties can seek resolution from the courts. As such, it is not uncommon to hear of disputes between the residents and tenants of a condominium and its management corporation. Given that such disputes are very close to home for the residents, the potential for such disagreements to become acrimonious is high, especially since they may affect the comfort and standard of living for these residents. Every MCST is required to keep accounting records and financial statements for at least seven years. The books and accounts of the MCST must be audited for each financial year. The MCST is also required to keep proper records of all notices it receives or court orders served to it. It must keep notices and minutes of its meetings, including details of motions passed, as well as copies of all correspondence received and sent, and any other documents. All records must be kept for at least seven years after the completion of each transaction. Another responsibility of the MCST is to prepare and keep a strata roll. Essentially, the strata roll is a register of the owners of each unit in the development. The information recorded in a strata roll should include the following. The address within Singapore for the service of notices on any person as shown in a notice given to the MC. The amount in the sinking fund must be enough to such expenses. 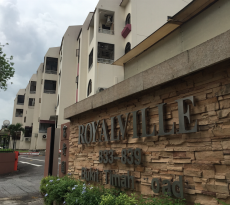 When the Building Maintenance and Strata Management Act was introduced in April 2005, there were only 2,700 MCSTs and 170,000 strata units across Singapore. According to the General Household Survey 2015, 13.9% of households in Singapore reside in Condominiums and Apartments, which are invariably managed by MCs. Further, as of June 2018, there are 3909 registered MCs managing various strata title developments in Singapore. Statistics also show that as of December 2017, the number of MCSTs and strata units respectively surged to 3,400 and 354,200. These include residential, industrial and commercial buildings as well as mixed-use projects. Other records or documents under the custody of the MC. For prospective buyers of private properties, always ask the real estate agent who is managing the property. Then check up on the management agent, or MC to check what other places they have worked on. If there were serious complaints in their previous management, there will probably be complaints here. SPs and residents should be mindful that the management corporation or MCST is a juridical entity with perpetual succession that is empowered by the law to administer and oversee the common property of a strata development.